You are on travel in Italy. You love wondering in the medieval centers of its art cities. You have been to Rome, Florence, Bologna etc. In the middle age Italy wasn't a unified country but fragmented in many little reigns, called city-states because they were limited to the surroundings of each city ruled by the most powerful noble family in town. The heritage of that era are a lot of little cities, located above all in central Italy, where you can spend a nice day-trip "within the walls", between a castle and a cathedral, in winter as in summer. 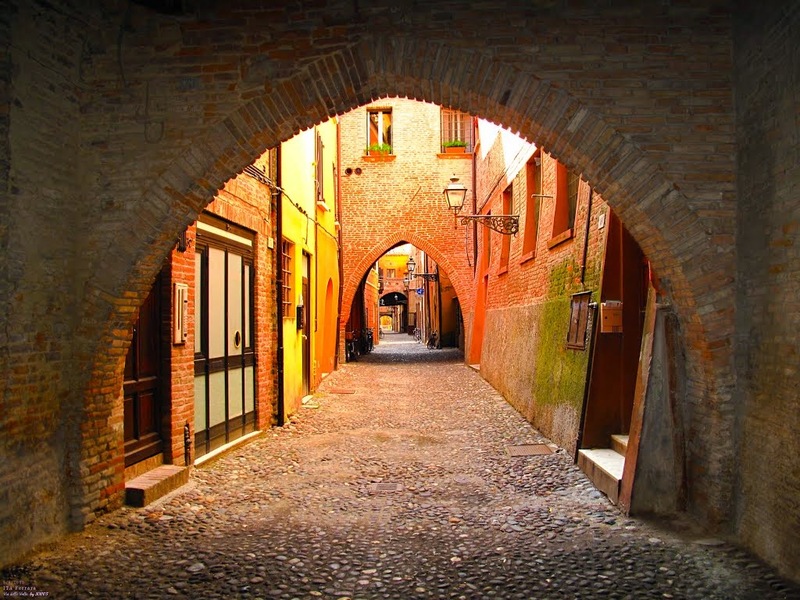 The options for a trip are countless, but maybe you don't have in your list some true gems in the region known as "Romagna". Rich splendor of Italy's Renaissance, Ferrara, is a place loved for the tranquility of the historic center, in part pedestrian, for its cycling paths on the ancient walls and for its green areas that make the city pleasant to live. Cesena, instead, is a little city with an important historic center, which lies at the foot of the Savio valley, on the east coast of Italy. The city, like many places in central Italy, has a long history, whose period of highest splendor is the Middle Age: already founded by the Romans, was then ruled by various families in medieval times, the most influential of which was the family of the Malatesta, who held it for two centuries, before it became part of the Papal States. Still partly enclosed by the walls of the fourteenth century, the ancient city lies at the foot of the Malatesta fortress, a large fortress of the fifteenth century, the center also houses a cathedral of the fourteenth century, several palaces reworked, and most importantly, inside the convent of St. Francis, the Malatesta Library, created as a public service, it is a valuable record of the humanistic culture, perfectly preserved in the rooms, still furnished with benches and codes of the time. To the ancient medieval structure of the city, the Este family, during its dynasty, knew how to give a new look in Renaissance style, without altering the previous, creating harmony between buildings, streets and squares of different ages. 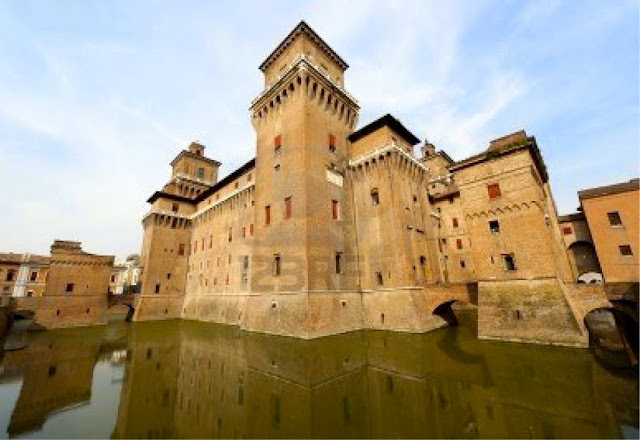 To visit the historic center of Ferrara is like stepping back in pomp and splendors of the Este dynasty that Renaissance artists have left to the city. Painters, architects, writers and musicians have attended Ferrara in the three centuries when the Este dynasty dominated. You can still walk through the medieval streets, visit the Este Castle with its brilliant frescoes and get to the Town Hall through the ancient Via Coperta. Not far away there are the Cathedral, with a richly decorated façade and the adjacent Loggia dei Merciai. Ferrara is also often animated by major events such as the Ferrara Buskers Festival in late August that gathers street musicians from Italy and all around the world. PS. 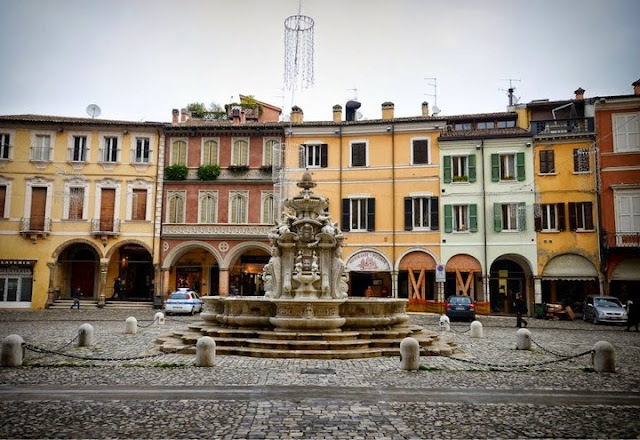 If you are planning to make a longer tour of these cities in Emilia Romagna, you can check out available hotels clicking here! The word that defines Italy is classical.